Home / Articles tagged with "preschooler"
Getting a new sibling can be an exciting but confusing time. A pediatrician offers tips for preparing kids of different ages. 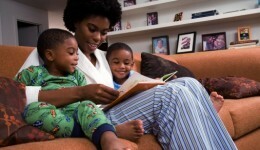 Creating a stimulating home reading environment is key to helping your child’s brain develop.